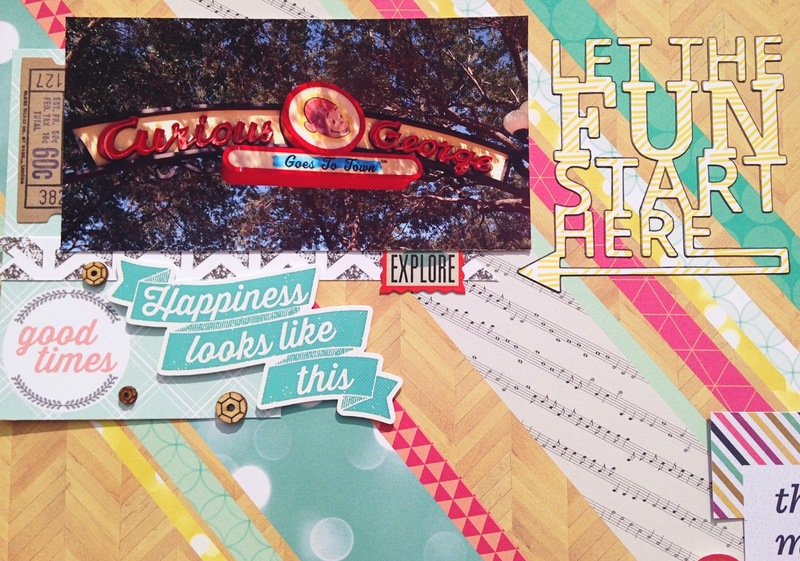 We're having a new Mood board challenge for you at Life.Paper.Scrapbook. 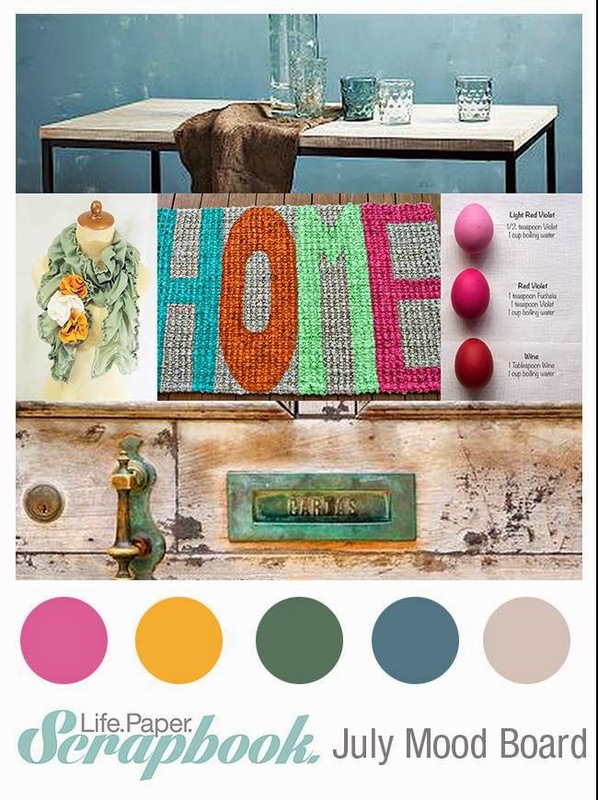 Some fun colors and textures, I hope you feel inspired too and will join us! This challenge is sponsored by Scrappy Canary. My layout is about one of my favorite spots in Universal Studios: Curious George goes to Town. It's actually a fun playground where a lot of water is involved, but we love to hang around there and get soaked when the temperatures are very high. For my layout I used my Clique Kits July kit 'A Midsummer Nights Dream' with Echo Park Paper's Capture Life collection and Crate Paper On the Road ephemera. The title is made with one of the exclusive cut files that come with each kit. Hop over to Life.Paper.Scrapbook. to see what my fellow team members created and link up your own projects made with this moad board for your chance to win a prize provided by Scrappy Canary! Scrappy Canary (formerly Polly Scrap! kits) is Australia's premier crafting kit club, offering monthly Scrapbook, Pocket Life and Embellishment kits. Our kits offer a handpicked selection of the latest papers, embellishments and exclusive items all coordinated and shipped directly to your door. In addition to our kits our store also stocks other coordinating embellishments for those who love extra goodies to play with. 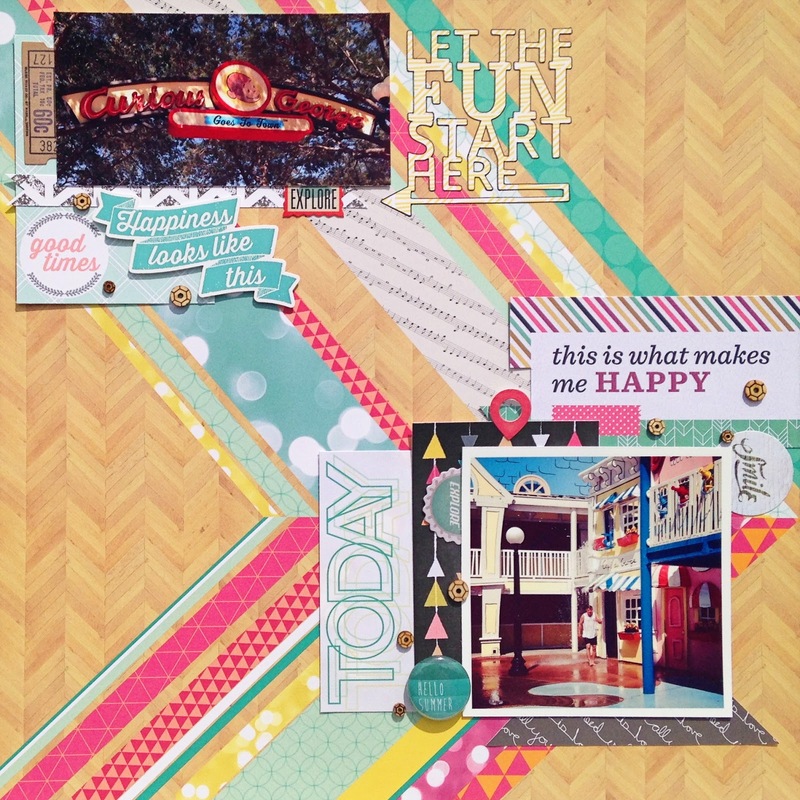 Such a fun layout, Danielle! 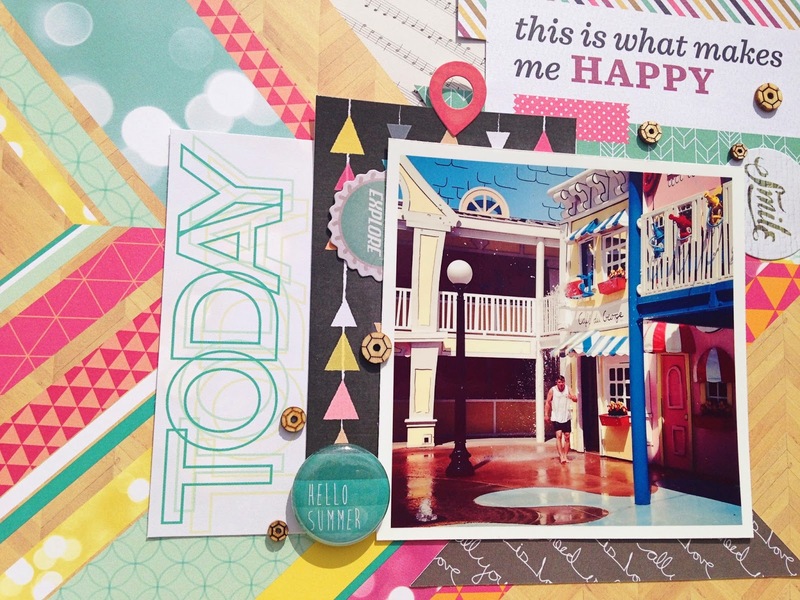 Love that EP patterned paper for your background, and great page design! !